orn on May 13, 1986 in London, England, Robert Pattinson began acting in school but first became widely known for his role as Cedric Diggory in Harry Potter and the Goblet of Fire. Soon after, his turn as the vampire Edward Cullen in the movie Twilight catapulted him to heart-throb status. Also a musician, he contributed songs to the Twilight, soundtrack as well as that of his 2008 film, How to Be. 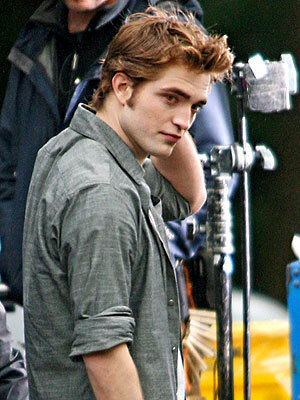 Pattinson's other notable films include 2010's Remember Me,2011's Water for Elephants and 2012's Cosmopolis. 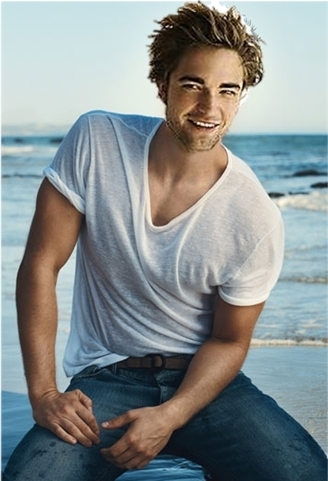 Robert Thomas Pattinson was born on May 13, 1986 in London, England. Pattinson is the youngest of three children, and the only son born to Robert and Clare Pattinson. During his childhood, his father ran a car-importing business and his mother worked for a modeling agency. Despite his sometimes shy personality, Robert Pattinson wanted to be a performer from an early age; first as a musician like his older sister Lizzy Pattinson. It was his father who strongly encouraged him to try out acting. During one memorable night out for dinner with his dad, the two found themselves sitting next to a group of young girls who told Pattinson they'd just returned from the Barnes Theater Club, a renowned theater program at the Harrodian School, a private school in Barnes, England, just outside of London. "Since then, he had nagged me about attending," Pattinson once said. "At one point he said he would pay me." Pattinson didn't bite on the payment offer, but did end up attending Harrodian as a teenager and joined its theater program. There, he took on starring roles in plays such as Out Town, Tess of the d'Urbervilles, and Anything Goes. Pattinson's performances drew notice and in 2003, at the age of 17, he jumped from the stage to the screen, nabbing a role in the TV movie, Ring of the Nibelungs. The work required him to move to South Africa for several months, where the movie was being filmed. An unaccredited role in the movie Vanity Fair (2004) followed. Around the same time that he was finishing up work on those two projects, Pattinson met with Mike Newell, the eventual director of 2005's, Harry Potter and the Goblet of Fire. The meeting and subsequent audition earned Pattinson the role of Cedric Diggory, Harry Potter's friend and a fellow wizard. The movie and the role propelled Pattinson's life and career forward in unimaginable ways. Teen People magazine called him "the next Jude Law" while Screen International magazine labeled him a "British Star of Tomorrow." It was heady stuff and, as Pattinson freely admits, it did indeed go to his head a bit. A big Marlon Brando and Jack Nicholson fan, Robert Pattinson's post-Potter plan was to take on smaller roles in plays or films that could let him explore unique characters. But things did not follow course. He did go on to play a shell-shocked World War II veteran in the BBC thriller, The Haunted Airman (2005); a student with a teacher crush in The Bad Mother's Handbook (2006); and make a small cameo as Diggory in Harry Potter and the Order of the Phoenix (2007). But he was also fired from a play in London and, before Pattinson knew it, he was in Los Angeles sleeping on his agent's couch and trying to figure out his next step. What followed was a shot at the film Twilight. His audition for the role of Edward Cullen, a century-old vampire in love, took place in the bedroom of the movie's director Catherine Hardwicke. Pattinson wowed both Hardwicke and his future co-star, Kristen Stewart, with his performance. "Everybody came in doing something empty and shallow and thoughtless," Stewart told GQ. "But Rob understood that it wasn't a frivolous role." And yet,for the legions of Twilight readers? ?17 million and counting since the book's debut in 2005? ?who had waited breathlessly for the movie adaptation, Robert Pattinson's casting as the perfectly gorgeous Cullen struck a nerve. There were calls for a boycott of the film and 75,000 fans signed a petition asking he be removed from the cast. Pattinson, who admits he was anxious about the part, seemed to take the criticism in stride. "They had this picture from a Viking film [I did]," he said. "I looked like somebody beat me in the face. I was wearing this disgusting wig, and they were like, 'This is Edward.'" To live up to the expectations, Pattinson poured himself into his character. He showed up in Oregon, where the movie was filmed, months in advance of the shooting to work out with a trainer and dissect the script and other work from Twilight's author, Stephenie Meyer. In the end, the hard work and the original choice to go with Pattinson paid off. In the movie's first weekend, box office receipts totaled nearly $70 million and its leading man was catapulted into heartthrob status among the film's most adoring fans. The film also served as a reminder that Pattinson, a guitar and keyboard player who loves Van Morrison, hasn't quite given up on his music aspirations. The Twilight soundtrack includes two songs by the actor. And there's additional Pattinson music on the soundtrack to another recent film of his, How To Be. Still, the screen seems to be where Pattinson's true future lies. On the heels of his Twilight success came the film, Little Ashes, which stars the actor in a meaty role as a young Salvador Dali. Pattinson then reunited with his Twilight cast for New Moon (2009), as well as three more films, 2010's The Twilight Saga: Eclipse, and parts 1 and 2 of The Twilight Saga: Breaking Dawn. Between filming the Twilight series' later films, Pattinson worked on such notable films as 2010's Remember Me and 2011's Water for Elephants, in which he stars alongside Reese Witherspoon. In 2012, Pattinson landed one of his most challenging roles yet, playing young billionaire Eric Packer in the drama Cosmopolis, which met with early success from audiences and critics alike. The film, directed by David Cronenberg, also stars Juliette Binoche, Paul Giamatti and Samantha Morton.